IBM Plex will be available in 110 languages.Today, the 109-year old company is freeing itself from the cold, modernist cliché and replacing Helvetica with a new corporate typeface called IBM Plex. 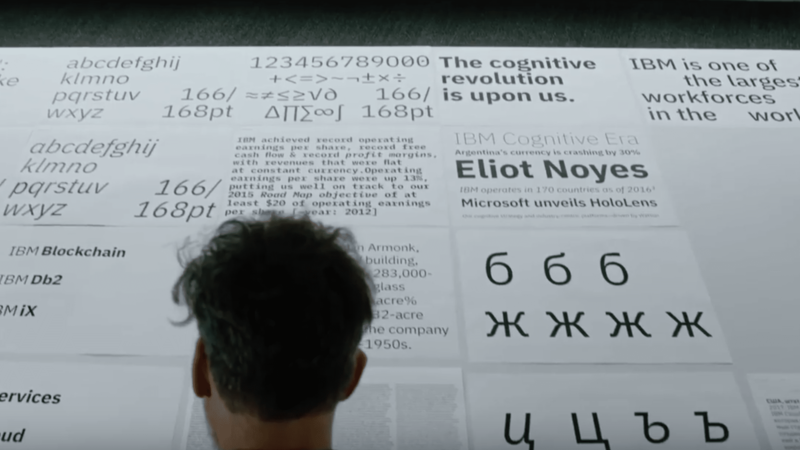 A font update may seem like a small matter to outsiders, but the creation of IBM Plex—its first ever “bespoke” font—is a major milestone in IBM’s storied design legacy and will have ramifications throughout the company and its products. The typeface will be used in its software, websites, signage, PowerPoint presentations, business forms, and marketing initiatives. IBM Plex will be available in 110 languages, in serif and sans serif versions, and in eight weights. IBM has also decided to make IBM Plex available for anyone to download and use for free.